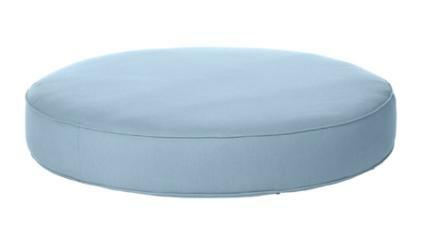 Item #7556 - Estate Series Round Ottoman Cushion. Boxed with self welt and zipper. Dimensions: 48" round x 7" high.